Brenda has been with Tax Help since 2006, working fulltime during tax season and for the past few years working part-time for the remainder of the year. She attended the University of Omaha and Metropolitan Community College where she studied Business Management and Interior Design. 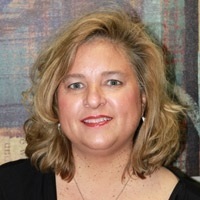 Brenda has worked for several local Omaha banks and Baird Securities. She is the face who first greets you at Tax Help. She enjoys spending time with her children, family and friends.